We propose a method based on spoken language analysis to deal with controversial syntactic issues; we apply the method to the problem of the double subject sentences in the Romanian language. The double subject construction is a controversial linguistic phenomenon in Romanian. While some researchers accept it as a language ‘curiosity’ (specific only to the Asian languages, but not to the European ones), others consider it apposition-type structure, in order to embody its behavior in the already existing theories. 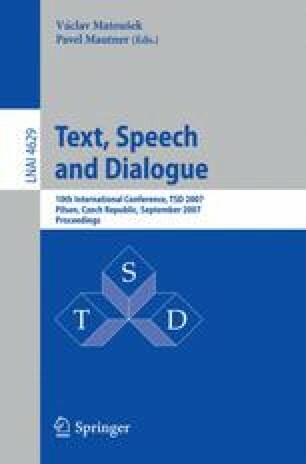 This paper brings a fresh gleam of light over the debate, by presenting what we believe to be the first study on the phonetic analysis of double-subject sentences in order to account for its difference vs. the appositional constructions.